I hope that you have been following along with the Island Batik Getaway Blog Hop - it's great fun to see the quilts, and the prizes are pretty fabulous, too! 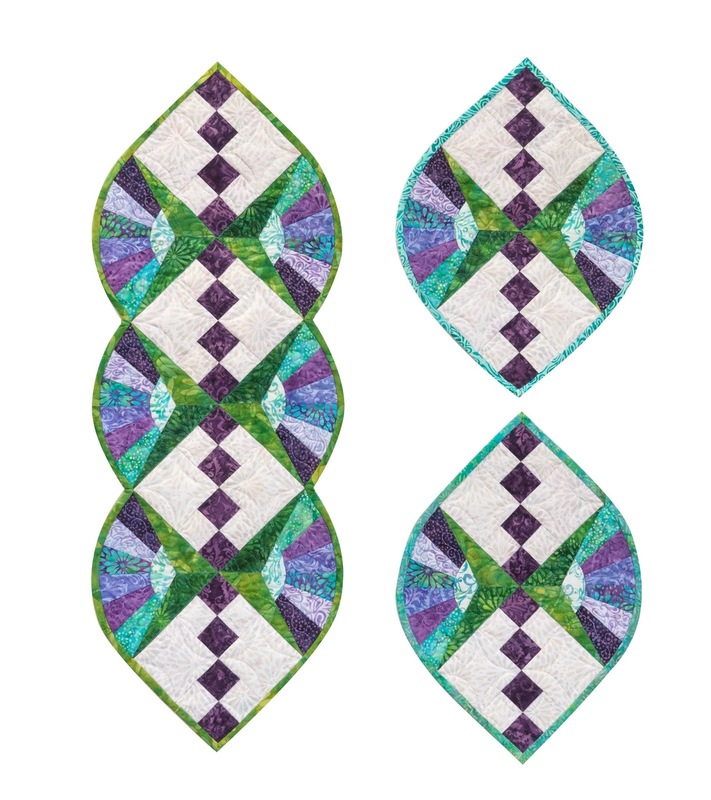 My day to post is not until the 23rd of this month, but I had opportunity last fall to sew today's featured fabric collection, "Paisley Park" and this seemed an appropriate time to share the details. I chose to work with these colours as I felt they would shine in this design. 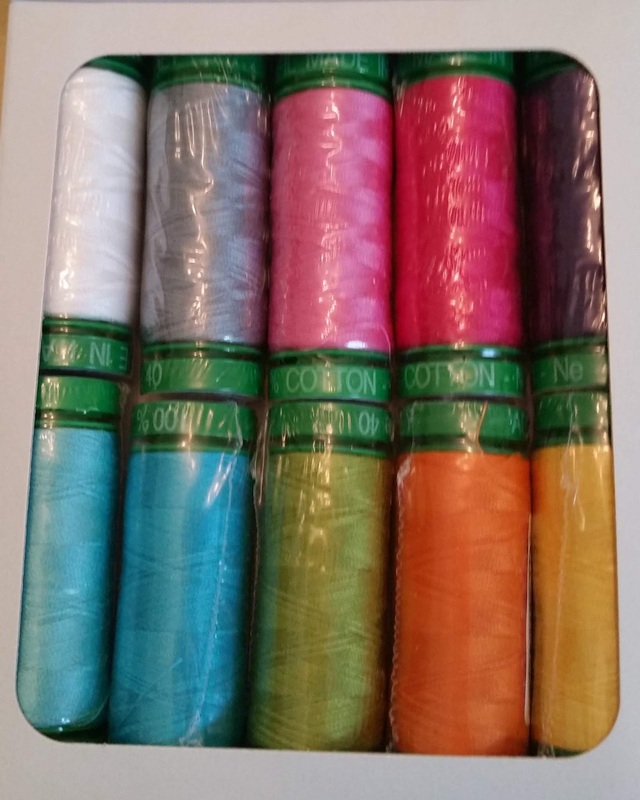 Aren't they gorgeous? It's always fun to pull out my Aurifil threads to match and contrast with the fabrics. 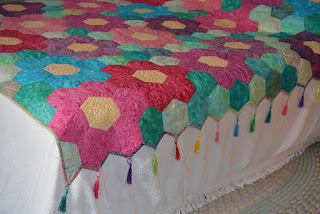 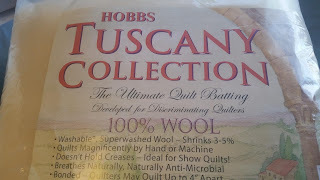 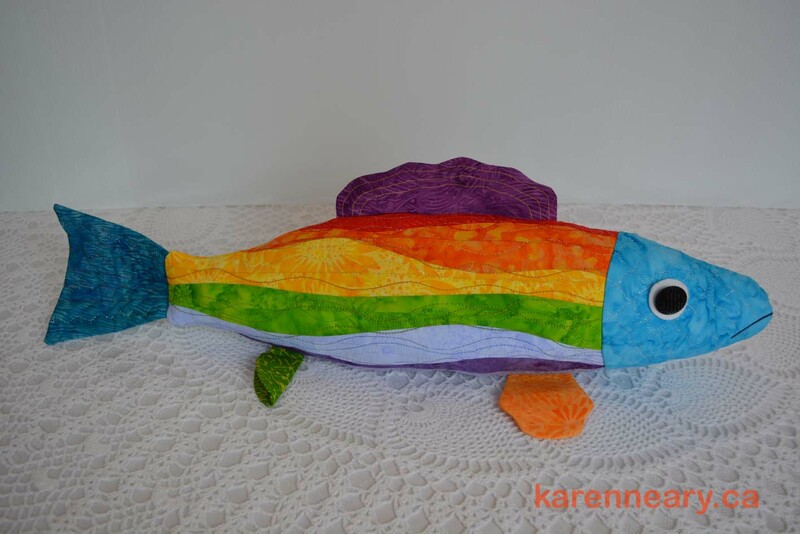 I used both 40 and 50 weights for the quilting, as well as clear monofilament to ditch the seams. 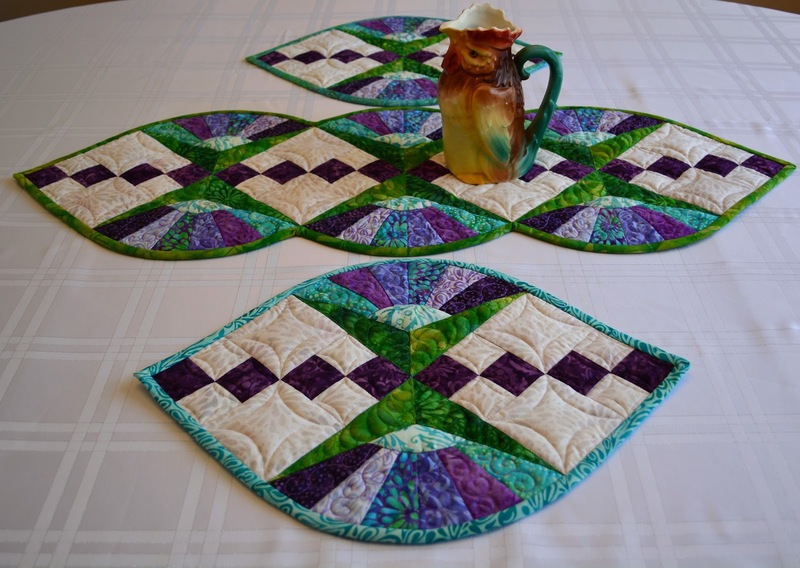 The table set is for a runner and matching placemats. 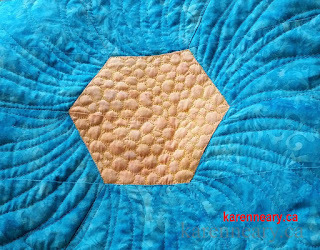 I love the unusual shape formed from the contours of the block. 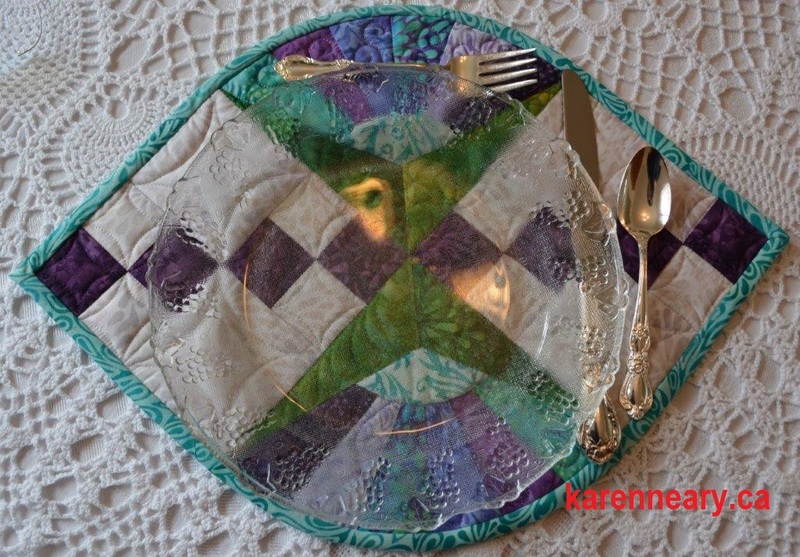 The size is perfect for under a dinner plate. 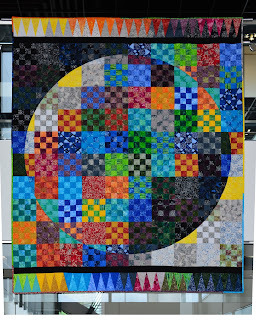 The set was displayed in the Island Batik booth at fall International Quilt Festival in Houston and is now travelling with a trunk show to various quilt shops. 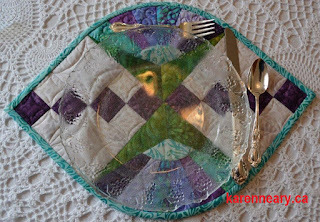 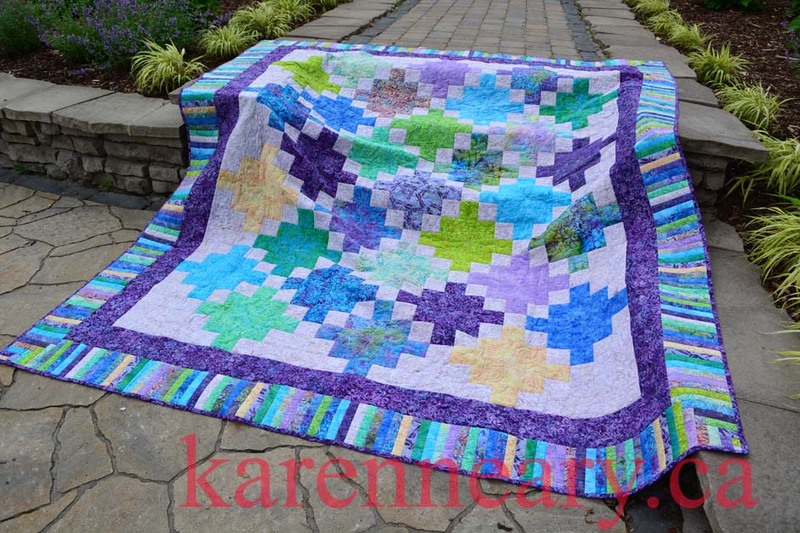 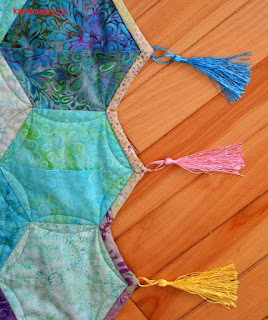 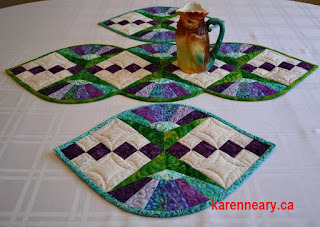 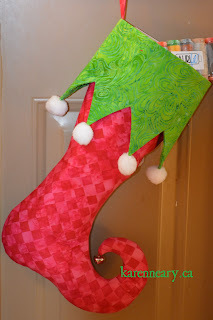 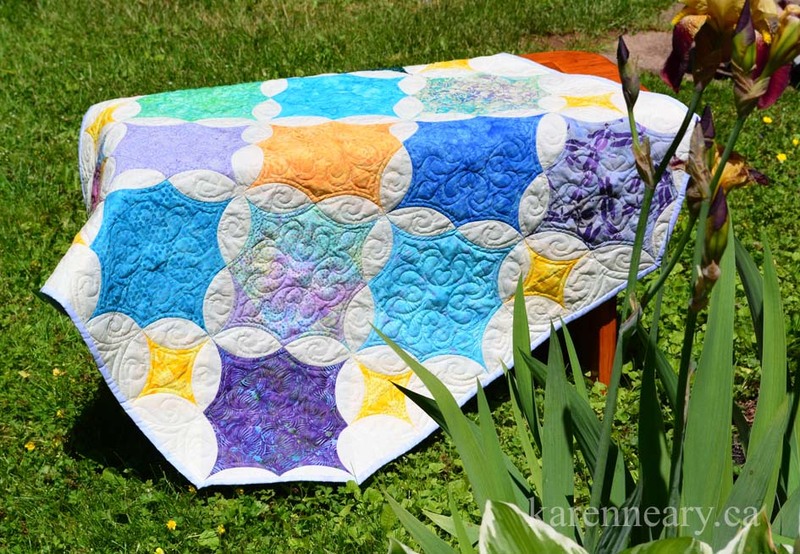 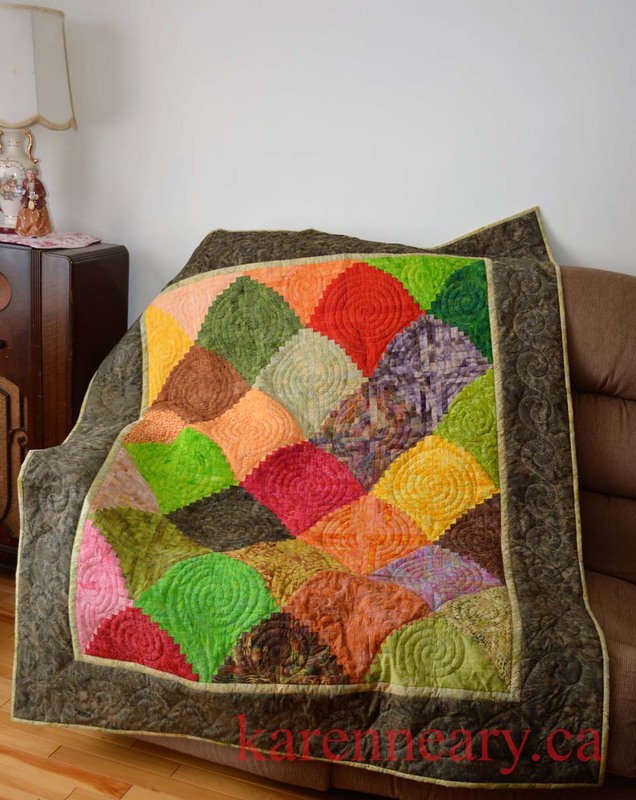 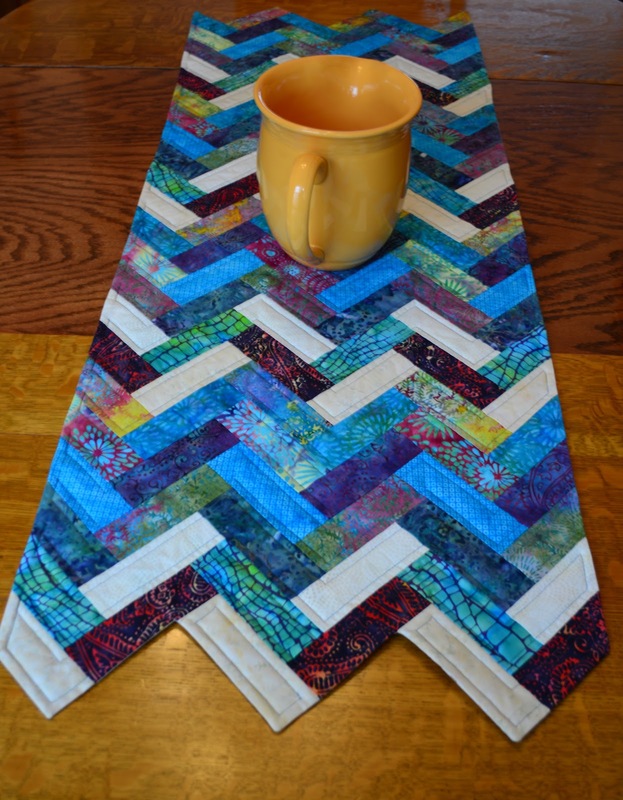 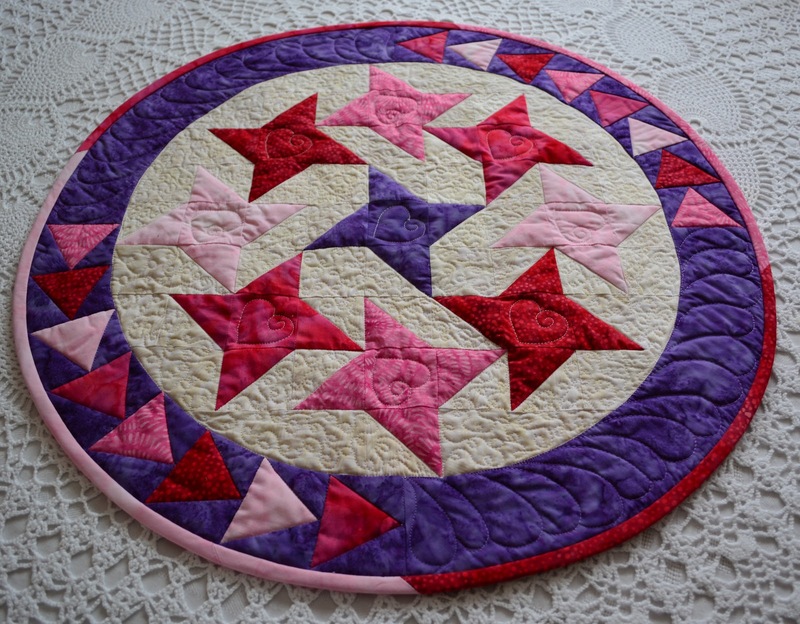 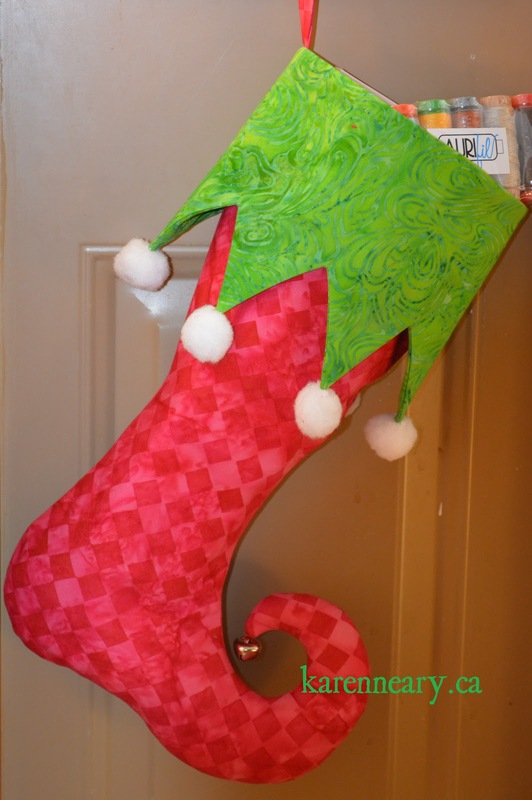 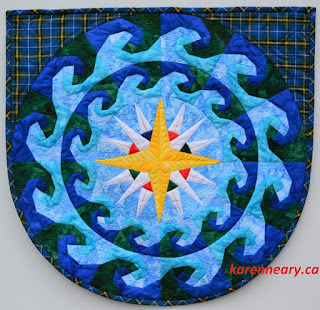 The pattern makes a terrific workshop project, as it features strip-piecing, gentle curved seaming, foundation piecing, a Y seam, and binding of inner and mitred corners all in a do-able sized project. 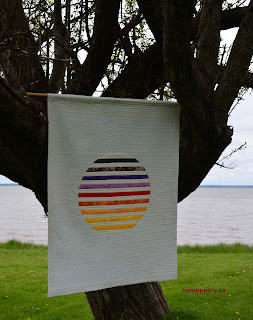 I've had feedback from several enthusiastic instructors telling me this was their favourite class ever, with so many teachable points to cover. Quilt shops may order the pattern wholesale from their Island Batik rep, or directly from me. 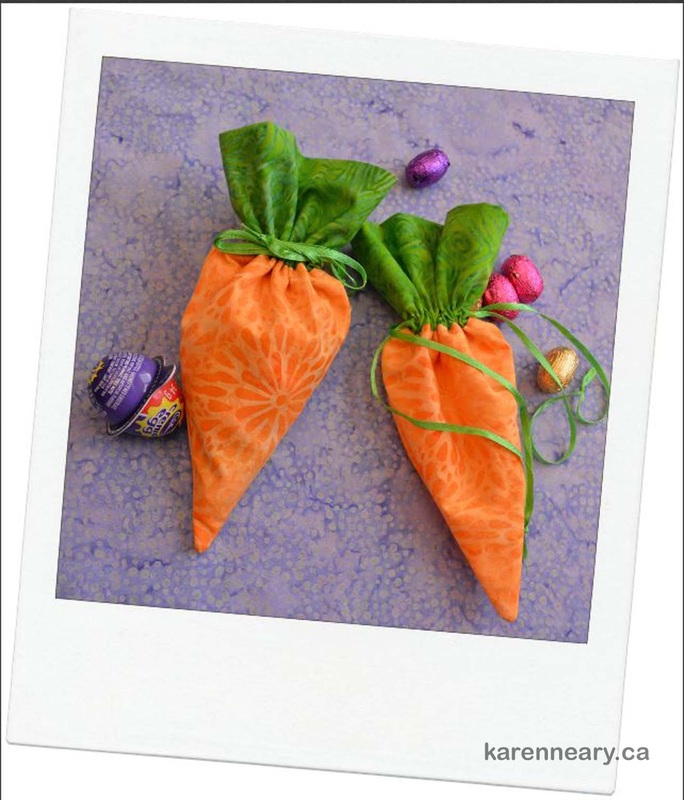 Individual patterns can be ordered in print from my website, or downloaded at this link. 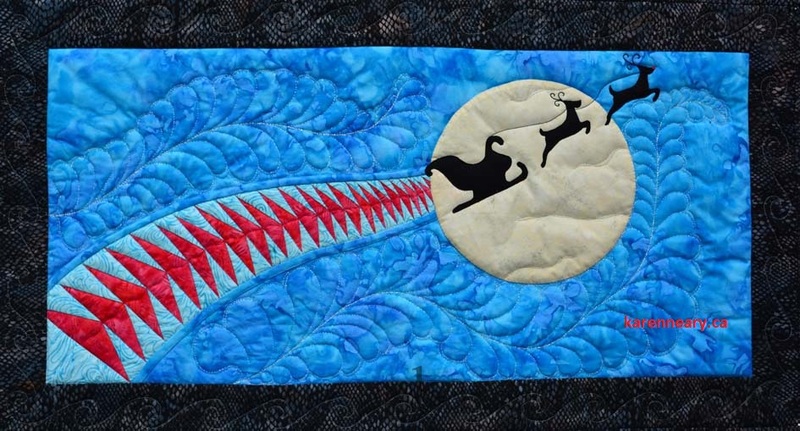 It's that time when we turn the page to a new year, and take a sweeping look back on the one that's just passed. 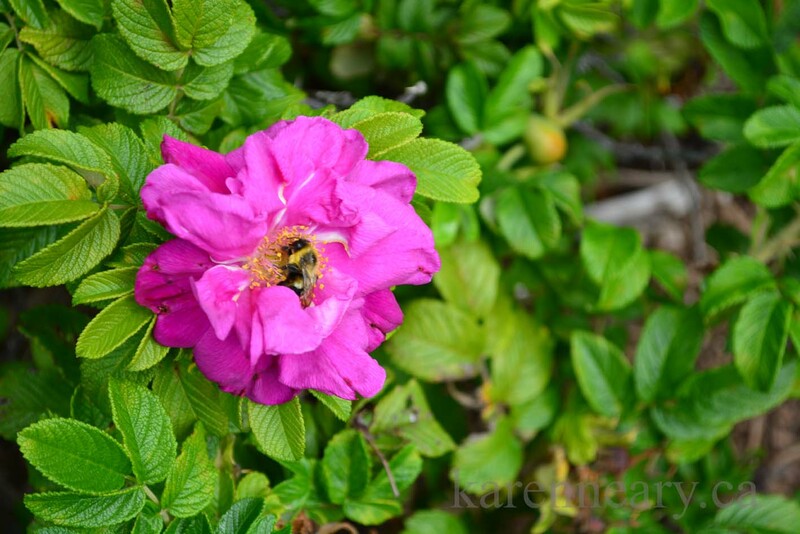 It was a busy year for me professionally, and much was accomplished. 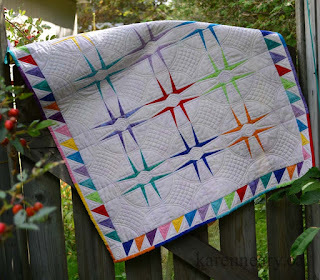 As in previous years, I designed and made the Row By Row quilt for Mrs Pugsley's Emporium. The theme was "Sew Musical" and the Musical Ride fit nicely with the Canada 2017 banner from the previous year, in terms of both colour and content. 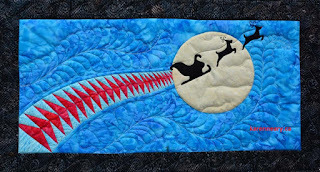 It's not an easy thing to design a piece to fit in the bizarre 9" x 36" shape, have it adapt to hang both vertically and horizontally, be easy enough for a beginner to stitch...and yet not too easy that it lacks substance...and have the instructions fit on as few pages as possible. 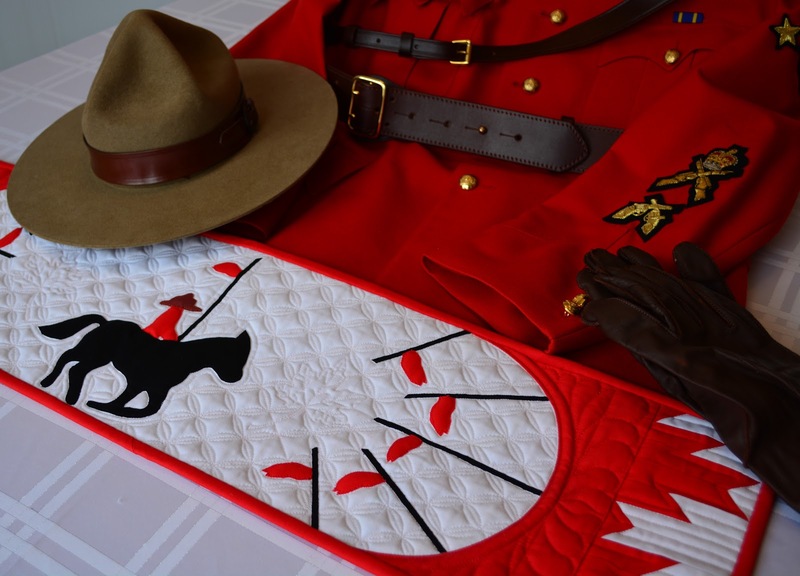 Even trickier, was persuading a Mountie to lend his gear for the photo shoot! 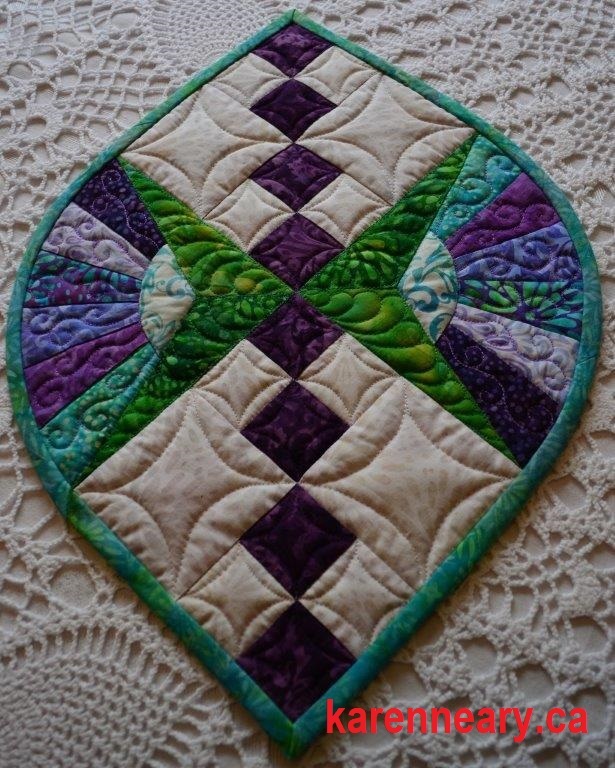 I am pleased with how it all turned out. 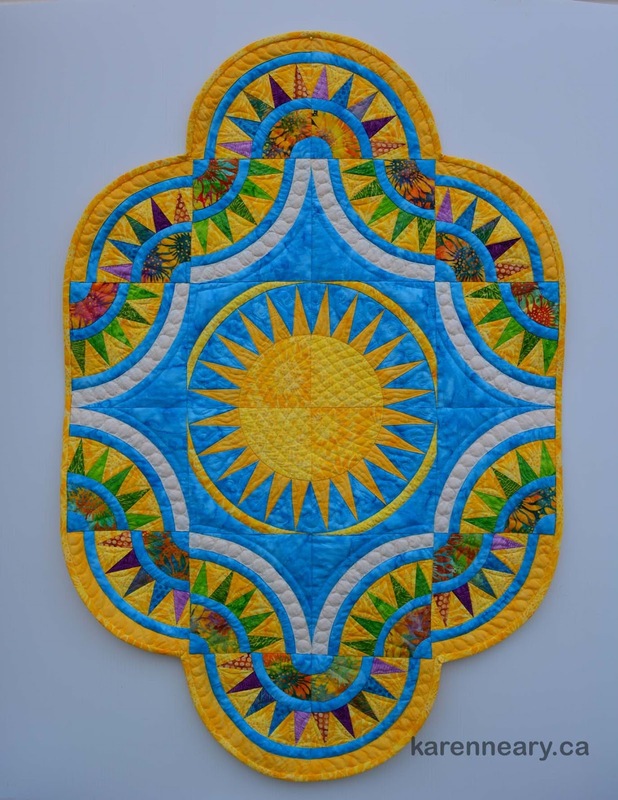 Early in the year, I answered a call from the Quilt Show to be paired with a partner in the U.S. for an International Miniature Quilt Exchange. 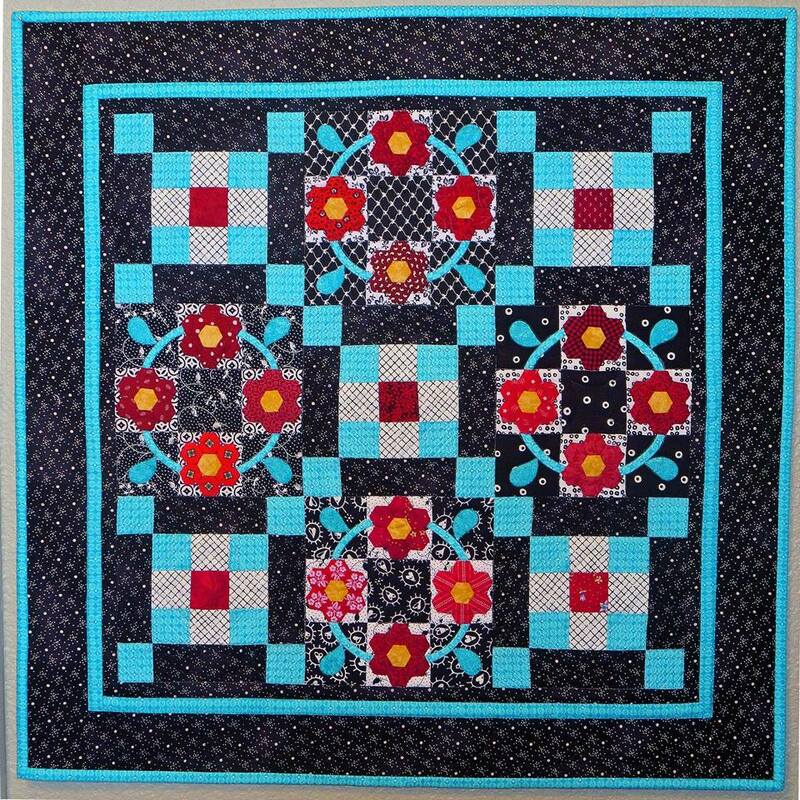 Throughout the year, I got to know my partner from New Mexico and we sent our quilts to each other in October. 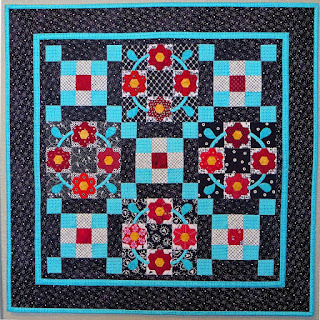 You can read more about mine here. 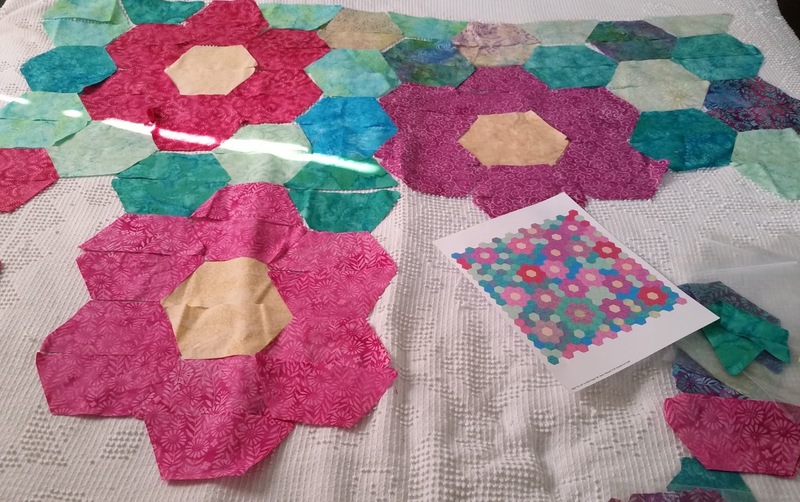 It was a wonderful project and one I encourage you to look into for the next session. 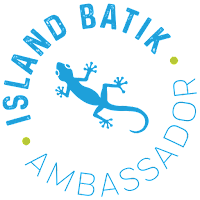 My big news was being selected as an Island Batik Ambassador. 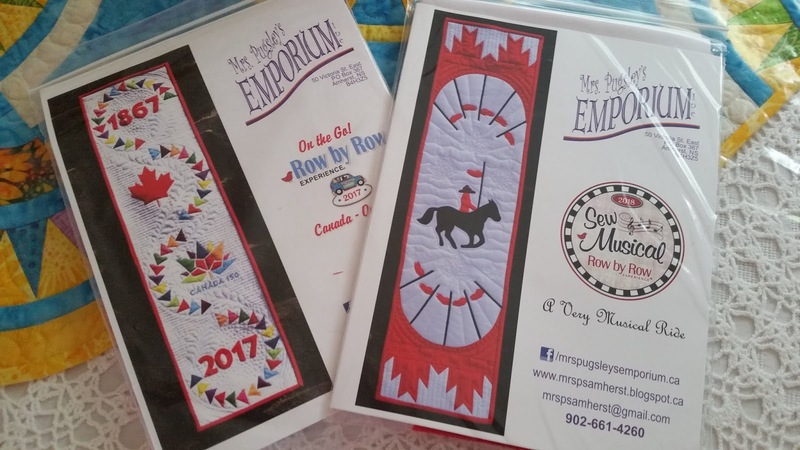 What an amazing experience this has been! 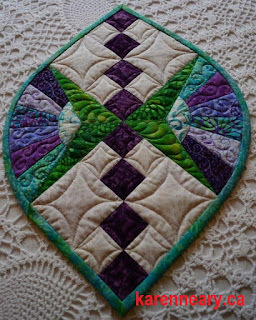 Monthly challenges stimulate creative juices and keep you on your toes to be a good steward of your time. 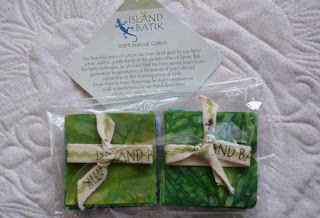 The goodies, sent by Island Batik and their partners,Aurifil and Hobbs batting, have been phenomenal! 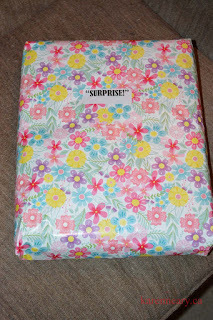 It's manna from heaven when those boxes arrive. These are the projects I've created for the monthly challenges. 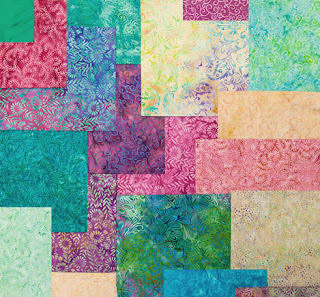 Island Batik also provided opportunity for projects to be shown at Quilt Market in Houston, and to travel in a trunk show to shops across the US, and my Felicity joined this program. The pattern is being distributed By Island Batik and is available for purchase from them, or directly from my website. I have another large quilt to be exhibited at Spring Quilt Market 2019, and I will show that later on. 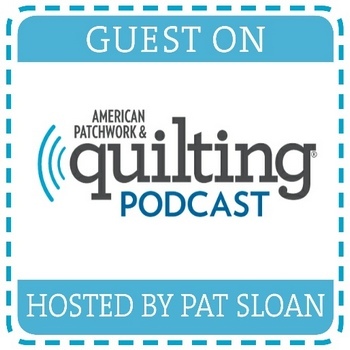 In the spring, I had the nail-biting opportunity to be interviewed by Pat Sloan for her podcast. My involvement with the Nova Scotia Fibre Arts Festival kept me hopping in October. 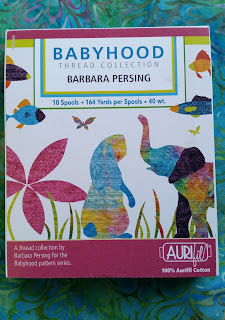 I taught two workshops on machine quilting, and had a booth of Aurifil thread at the ever-popular Zonta Bazaar. 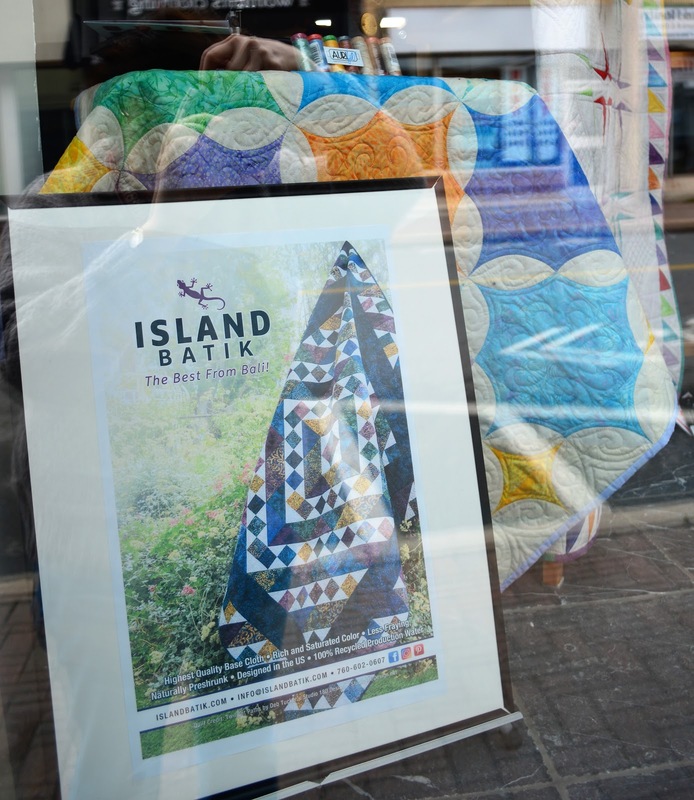 This was my 11th year as part of this festival, and I was thrilled to be asked to put in a display at Mansour's Menswear. 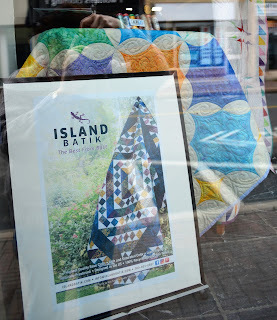 I chose to showcase my Island Batik projects. 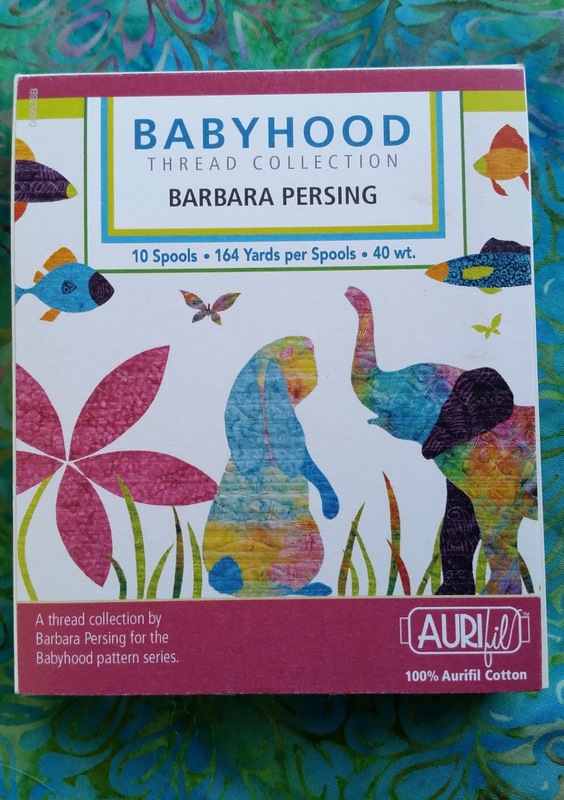 My Aurifil thread store continues to grow, and I have big plans for its expansion. 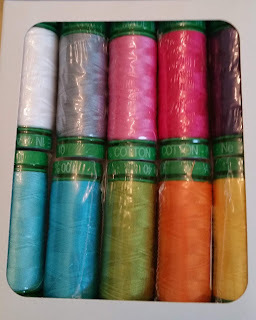 Already there are over 60 colours in the 50 weight thread, various weights, and many beautiful collections. 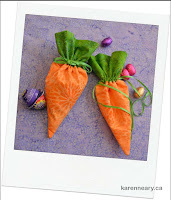 I am happy to say that prices will remain the same for the upcoming year. 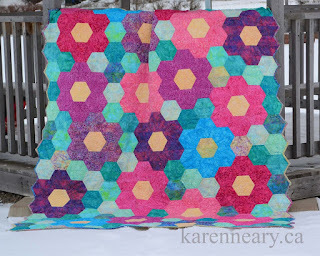 Work is underway to improve the functionality of my website, including easier pattern downloads. 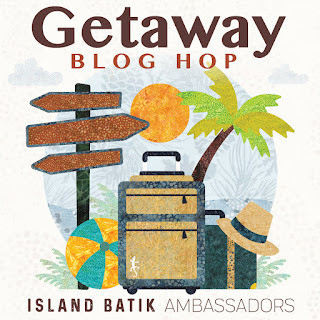 This month, I am participating in the final activity for the 2018 Island Batik Ambassadors. 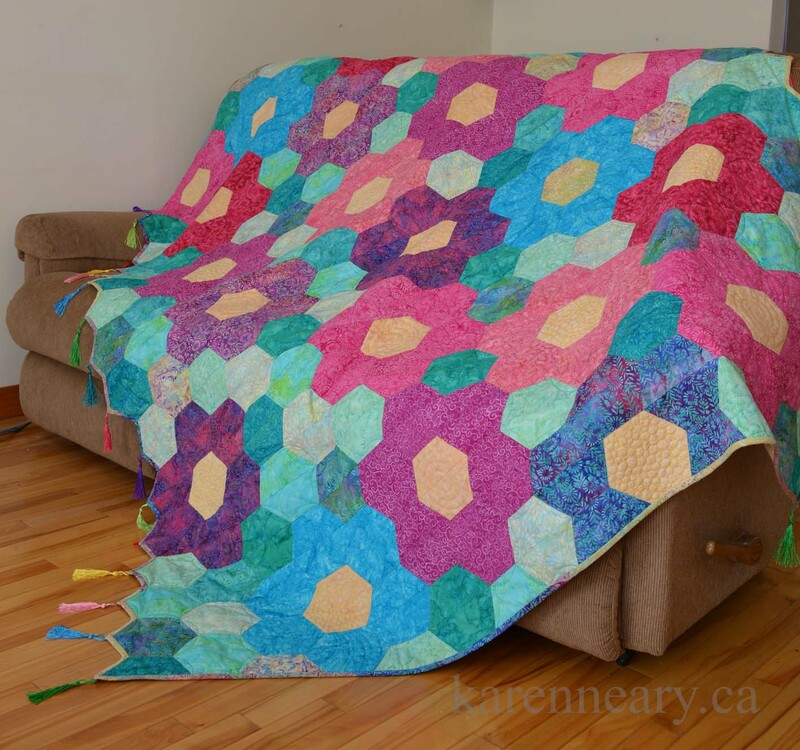 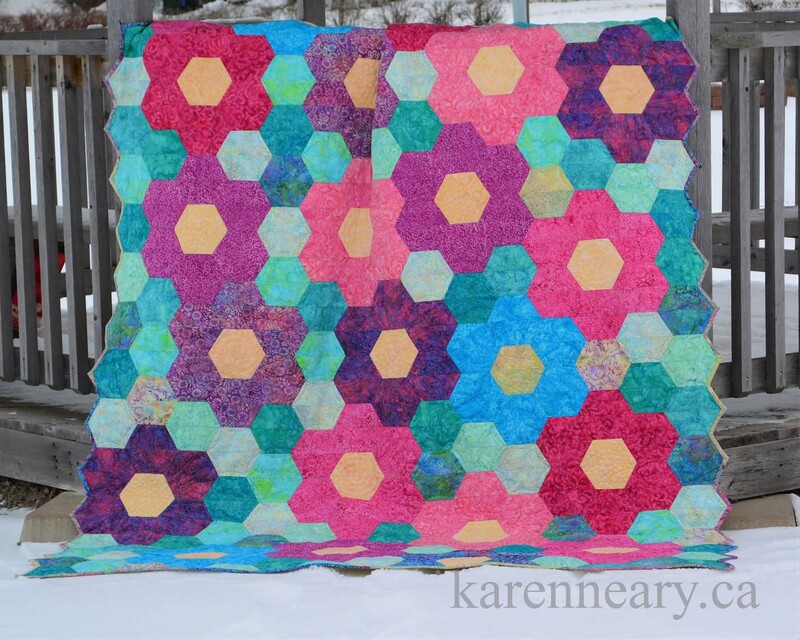 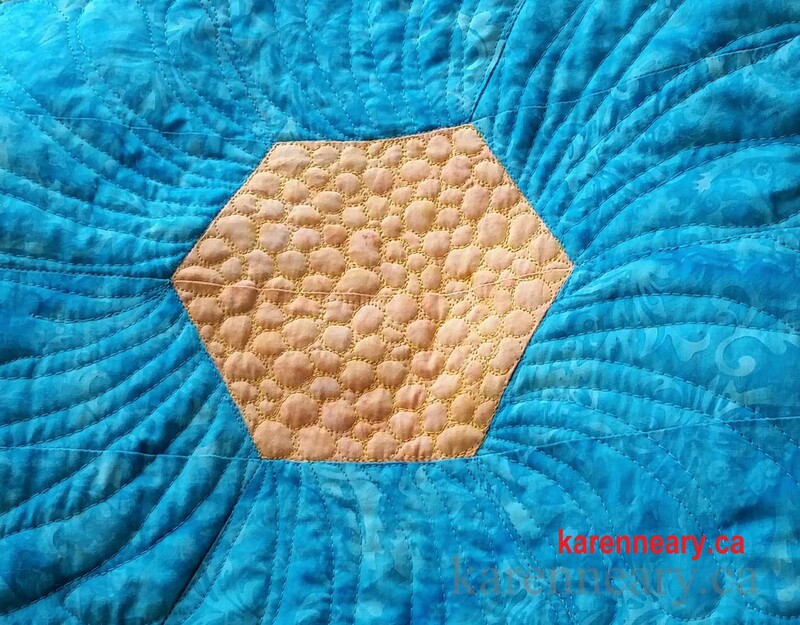 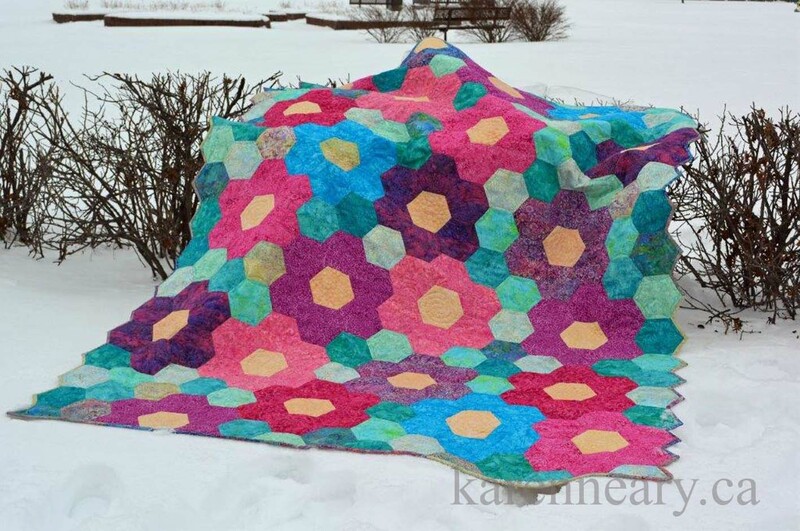 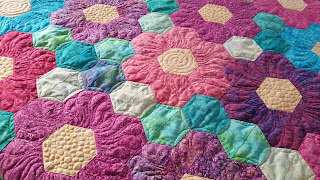 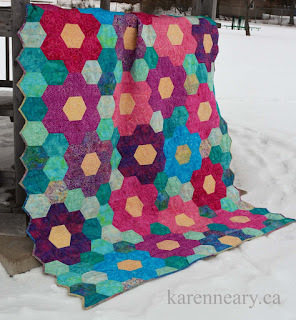 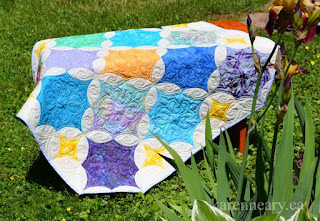 The Getaway Blog Hop is now underway, and I can't wait to show you the quilt I made from the gorgeous collection they sent! Please check back on January 23rd. 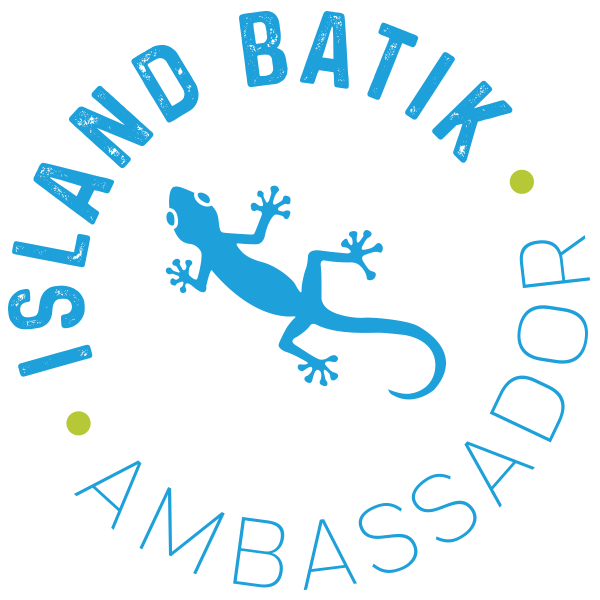 2019 begins with news that I have been asked to return as an Island Batik Ambassador, and I am beyond happy to remain part of this incredible team. It's been a busy year, and I thank you for allowing me to share that with you. It's been nothing short of a fabulous year for the Island Batik Ambassadors, and we wrap up 2018 with a month long blog hop which begins tomorrow. 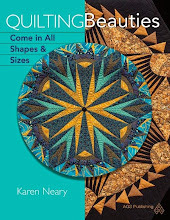 Our projects will showcase the new fabric collections arriving in quilt shops now, and there will be opportunity to win some fabulous prizes. My collection is "Blossom", and I thoroughly enjoyed working with these colours! 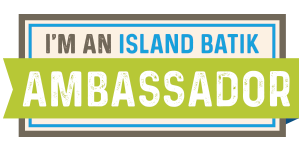 Below is a list of Ambassadors, and the date each of us will post. Please visit each of the stops for a little winter quilty getaway.